You are here: Home / Blog / Cosmetic Dentistry / Doctor German Arzate just got certified by the ABOI/ID! The American Board of Oral Implantology/Implant Dentistry (ABOI/ID) was chartered in 1969 by the American Academy of Implant Dentistry (AAID), organization formed by practitioners known worldwide. ABOI/ID is the premier implantology certifying organization recognized by the American Board of Dental Specialties (ABDS). The diplomate designation symbolizes the highest level of competence in implant dentistry. Today our clinic is proud to announce that on May 17, 2018 after passing a rigorous examination on implant dentistry, German Arzate, DDS has joined 500 other dentists Internationally in becoming a Diplomate of the American Board of Oral Implantology/Implant Dentistry (ABOI/ID), making Dr. Arzate one of the worldwide leading experts in implant care. To sit for the examination, Dr. Arzate was required to practice implant dentistry for at least six years and prove his implant expertise. 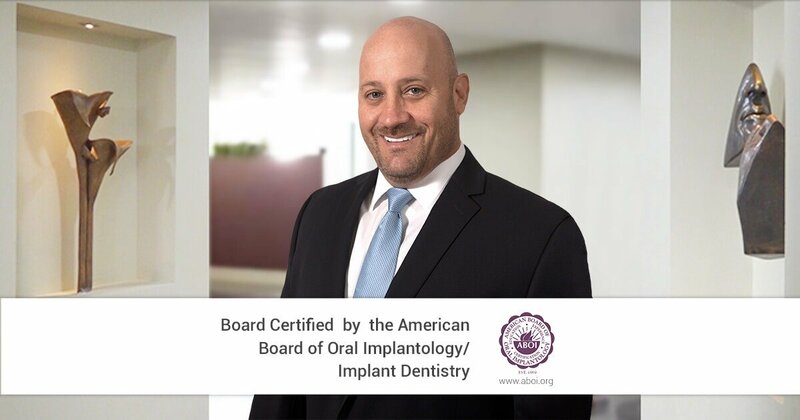 To earn the title of Diplomate, Dr. Arzate presented cases for review by an expert panel of implant dentists and passed a series of written and oral examinations sponsored by the American Board of Oral Implantology/Implant Dentistry. The ABOI/ID’s examination process measures the in-depth knowledge, proficient skills, and abilities required for practitioners to provide comprehensive, safe, and effective oral implant care for the public. This exam was not an easy task, because an implantologist has to be an artist too! They need to not only build a perfect smile but must also ensure that a patient is fully functional. Our clinic can offer you the best solution to your dental implant needs whether your situation is simple or complex.